A contract for deed is a written contract between a potential seller and buyer agreeing to a future conveyance of property once terms and conditions of the contract have been met. A contract for deed is often referred to as an installment sale agreement, land contract or owner financing. Unlike a typical real estate purchase agreement, the buyer usually takes possession of the property upon execution of the contract and makes payments until the agreed-upon price has been paid in full, at which time the property is usually deeded to the purchaser. Contracts for deed are often used when a purchaser has exhausted all efforts to obtain credit by traditional methods. It also benefits the purchaser by bypassing strict lender requirements to qualify for a mortgage, which may include full disclosure of financial records. A contract for deed may negate certain closing costs and expenses, such as origination fees, appraisal fees and home inspection charges. With a contract for deed, a purchaser with an impending foreclosure may be able to quickly regain a roof over his head and start reacquiring property for the future. Desperation, however, can often lead to higher than normal interest rates or an impending balloon payment at the end of the contract term. A contract purchaser will either have to pay the balloon payment, find a way to obtain a purchase money mortgage and buy the property prior to the final installment or risk forfeiting previous payments. A contract for deed is not a cookie-cutter document. Each one may have distinct and different provisions. For example, a handy man may agree to complete a home or make repairs as part of the purchase price or a mobile home owner may move his home onto the property and keep it separate from the transaction. A traditional lender usually requires that the mobile home be mortgaged along with the land, thereby subjecting it to foreclosure. A contract for deed may be as unique as state law will allow, and negotiations often take place with an individual rather than a large financial institution. 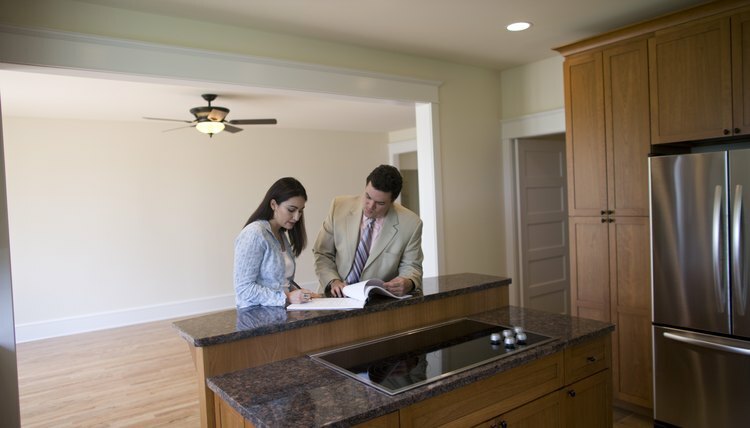 A purchaser should not blindly sign or agree to a contract for deed without verification. Bypassing a traditional title search could create serious consequences for the contract purchaser. A title search will prove ownership of the property and determine whether or not there are mortgages or other liens ahead of the contract. If a prior mortgage is foreclosed, the lender will not be required to honor your contract, subjecting you to possible eviction. On the flip side, an aggressive creditor may obtain a judgment against a contract purchaser who subsequently abandons the property and whose whereabouts are unknown. The contract seller may have to prove the purchaser had no or little equity in the property or face litigation with the creditor prior to selling to another purchaser. A contract for deed may remain unrecorded to attempt to avoid this situation provided state law doesn't require recordation. If a contract purchaser defaults on payments, it is often easier for the seller to reacquire the property, bypassing foreclosure proceedings. The seller will generally retain all payments as liquidated damages and the contract purchaser will be left without the right to redeem or reacquire the property. On the other hand, a purchaser may find it easier to walk away with less liability than in a traditional foreclosure. Under a traditional mortgage, if the equity in the property far exceeds the amount acquired by the lender at foreclosure, it may seek a deficiency judgment against the property owner which could follow his credit for years or force him into bankruptcy. Laws may vary widely from state to state regarding a contract default. LegalMatch: What is a Contract for Deed? Divorcing your spouse can wreak havoc on your personal finances, especially if you own a home with a mortgage on it. You may ask your lender for a deed in lieu of foreclosure if you can't sell or afford the payments. You'll use the deed in lieu to give the home back to the lender before they drag you through the formal foreclosure process in your state, or before they finish it. Some states refer to a voluntary lien against real property in exchange for money as a mortgage, while others refer to it as a deed of trust. Both mortgages and deeds of trust may incorporate an assignment of rents and leases that allows the lender to collect rent money held by,or due to, the property owner by tenants once the owner defaults or fails to make payments. An assignment of rents and leases may also be recorded as a separate document. How Easy Is It for a Mortgage Lender to Get a Deficiency Judgment in Maryland?